Fair Work Commission applications for unfair dismissal and general protections (involving dismissal) must be lodged within 21 days of dismissal taking effect. (e) fairness as between the person and other persons in a like position. It is usually very difficult to establish grounds for seeking an additional time period for lodgement of a Fair Work Commission application. For example, mere ignorance of the statutory time limit or pursuit of another claim, are not exceptional circumstances. Long delays outside of time including more than two years will work against the applicant as it would cause substantial prejudice to the employer. However, there are several examples of where an extension has been granted, including representative error and direct communication with the employer. Client V made an unfair dismissal application seven days after expiry of the 21-day time period. Following termination of his employment Client V sought to engage in discussions with his employer about continuing employment to maintain his 457 visa. Commissioner Lewin held that exceptional circumstances existed for the delay as they were outside the ordinary course of events encountered by an employee whose employment is involuntarily terminated. Commissioner Lewin found that Client V had avoided making the application to minimise conflict and maximise his prospects of continuing or further employment, to preserve alleged redundancy status and 457 visa. Client E was employed as an Economic Development Officer. Her employment was terminated on 15 August 2011. She filed her application 48 days after the 21-day period specified. 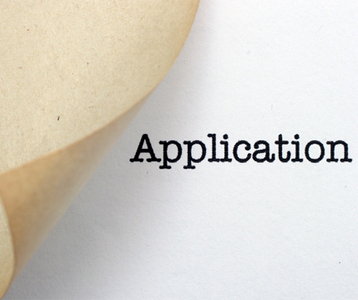 Client E applied for an extension of time for lodgement of her application. Commissioner Lewin held that exceptional circumstances existed such that a further period of time would be granted to Client E to file her application. Commissioner Lewin noted that it is usual for most employees to experience a degree of stress and anxiety following termination of their employment at the initiative of the employer. However, Client E suffered from such a degree of stress and anxiety that was outside the usual course. Commissioner Lewin considered the fact that she attempted to seek legal advice, but was severely psychologically incapacitated and unable to function normally for three months after the termination, pursuant to the evidence of a psychologist. Moreover, there was no prejudice to the employer in their ability to defend the application. Client W made a Fair Work Commission application 15 days after the statutory time period had lapsed. Client W had originally filed an unfair dismissal application within the time period and attended conciliation. Following the conciliation he decided to discontinue the unfair dismissal application and to make a general protections application. He was advised by the conciliator that he had to make an application within 60 days (prior time limitation). Client V thought he had 60 days from the date of the conciliation whereas in fact it was 60 days from the date the termination was effective. Commissioner Richardson held that exceptional circumstances existed. Client W had evidenced an intention to contest the application immediately following termination of his employment, there was no discernible prejudice caused by the delay, the merits of the application are to be considered neutral and there is no inherent unfairness in persons in a like position.